The Apogee name has meant a lot in the history of PC gaming. From the invention of the Shareware concept to PC gaming to some legendary titles such as Commander Keen, Duke Nukem, and many others, it has been a long standing name in the game industry. However, in 1996, the Apogee name was retired as a brand when we moved pretty exclusively to 3D games, hence the 3D Realms branding. But before we got there, there was a pretty darned cool game released as the final title. That being Stargunner. 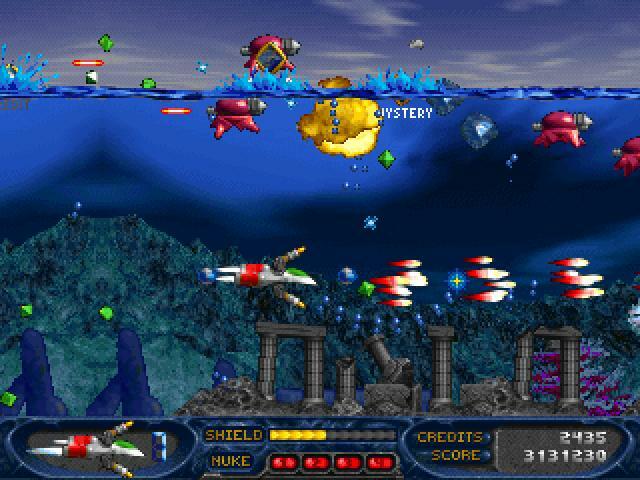 Stargunner was the third shooter game we released in the 90’s. The first being Major Stryker in 1993, and the second being Raptor: Call of the Shadows in 1994. The third and final one was Stargunner, which was released November 19, 1996. Stargunner was spearheaded by David Pevreal, who had this to say about the game back in 2005. Stargunner represented the first completed attempt at a game for all of the developers involved. While the commercial success of the game was mild, it certainly launched the careers of the 3 programmers who all moved on to find success in the games industry. Stargunner's artist also found success in his chosen field, though outside of games. The game itself was written in C++, but with heavy usage of assembly for the video and sound routines. It was one of only a few games that could run at 60 frames per second on the current "486" hardware of the day. Most of the art was developed on the Amiga using Deluxe Paint. 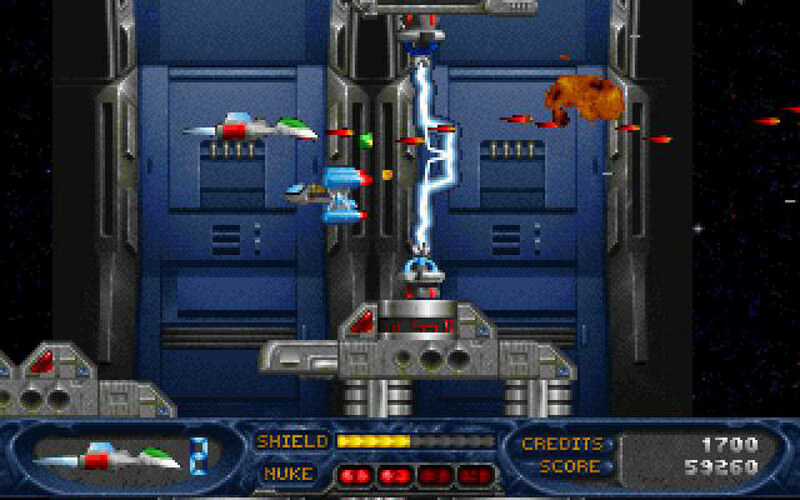 In fact, the game was originally supposed to be an Amiga game with a PC version supposed to follow, but the PC version soon overtook and led development, and sadly the Amiga version was eventually dropped. Our own Scott Miller, founder of Apogee also had this to say about the game..
Stargunner, released late in 1996, was Apogee's final game. Apogee had officially started in 1987 with the release of a shareware game, Kingdom of Kroz, solely developed by Apogee founder, Scott Miller. The Apogee label rang loudly for nearly ten years in the shareware arena, with games like Commander Keen, Duke Nukem, Raptor, Wolfenstein 3-D (the father of the FPS genre), and Rise of the Triad. Apogee pioneered the shareware method of selling games, and it was this method that allowed Apogee (as well as Id and Epic) to rise from nothing to become a successful, entirely independent game studios. But as the industry matured, it became apparent in to us 1994 that 3D was the future, and so a new company name was created, 3D Realms, and this is the name that soon replaced all signs of Apogee. Stargunner was Apogee's final song. It was a great little game, but great little games didn't cut it by then, because in 1996 we lived in a would dominated by three-D's: Doom, Duke, Descent -- the 3D revolution had begun. As these guys mentioned, the game wasn’t the biggest seller, but was very beloved by its fans. A couple of years after it was released, we discontinued the game. At the time, it was due to the fact that many older DOS games had issues running natively in newer versions of Windows, so we discontinued them when we couldn’t guarantee they ran perfectly. Of course now this is a non issue with the advent of DOSBox, but back then we discontinued them for that reason. The game lived on though because on June 22, 2005, we released the game as freeware on our website, so anyone who could get past the technical limitations at the time could still enjoy the full game. At the time of Stargunner’s original release, Apogee/3DR’s in house musician (Lee Jackson) was well entrenched at this point, having worked and done the music on numerous projects in the past (some of which were Duke Nukem 3D, as well as Rise of the Triad & Shadow Warrior). This of course brings us to Stargunner, a game that had all if it’s music done by Lee Jackson. Back in this time, Lee and several other folks making game music were either influenced by, or had their feet firmly planted in the mod scene from back then. Another company of which I have known for ages, Remedy Software (Max Payne, Alan Wake, Death Rally) got their start out of software and projects done for the mod scene in the early 90’s. To that, all of the music in Stargunner was done in this format. Anyway, as part of the 2005 freeware release, we also released the soundtrack to the game. 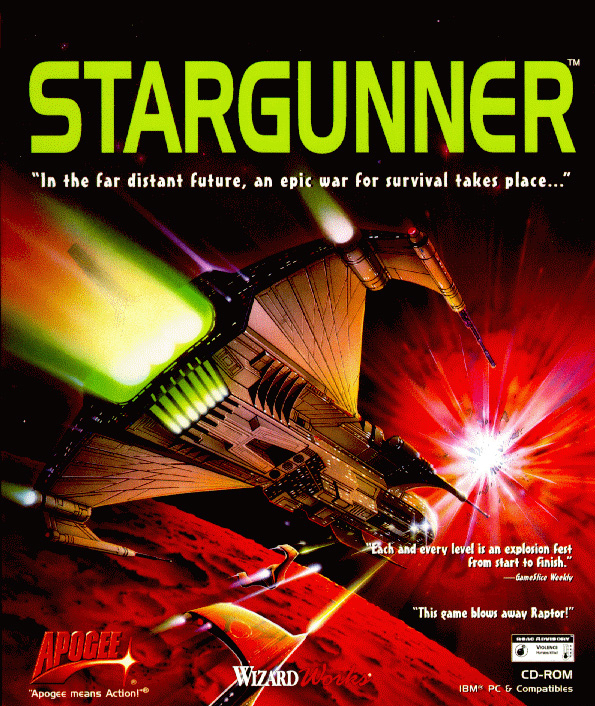 Stargunner was one of those games where the soundtrack was on the CD, and you could listen to it through the game that way. Given the way game music was back then, this made for a vastly improved listening experience when playing the game. This game was also interesting, as the “Apogee Fanfare“, which had been in a boatload of games to that point, was given a rather large sonic upgrade. And it was never used again, as this was the last “Apogee” game. So go check out this song, and have a look into some of the wacky stuff that went on in the background behind the scenes at Apogee back in the mid 90’s. :) You can also download an mp3 of it here. Please note that these are the original .mod files - these are *NOT* MP3 files, you will need something that can play these older file formats (such as VLC). Stargunner was a great moment in my personal past working with Apogee/3DR. I loved working on it, and I loved playing it. Through the freeware release a decade ago up until today, it retains its fun nature, and through the magic of DOSBox, you can still play it right now. The 3D Realms website makes it available for download for free. If you don’t have an account on the 3D Realms site, sign up, and as part of that you can get Stargunner yourself for free now.